You really can’t see a whole heck of a lot of Monument No. 204, the old Francis Lederer home. It’s perched well on top of a hill (the view must’ve been awesome seventy years ago), the base of which today is surrounded by fencing and warnings to stay away. 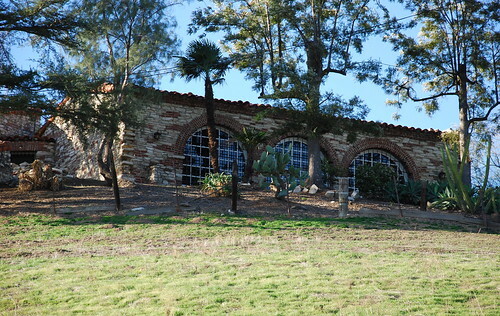 Francis Lederer built this home on his 300-acre Canoga Park ranch over a period of years beginning in 1934. (We visited his old converted stable at No. 135 back in April, remember?) It’s worth noting that the Czechoslovakian Lederer, who had spent most of his life in Europe, had arrived in the U.S. only two years earlier to appear on Broadway – the guy must’ve fallen in love very quickly with all things American Southwest to undertake such a project. 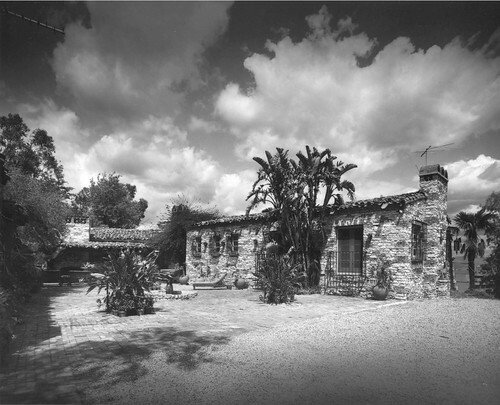 With the help of builder John R. Litke, Lederer went to great pains to have his estate appear as much a historic Mission-style homestead as possible. For a few years during the house’s construction, Lederer was married to actress Margo (who later married Eddie Albert). He married Marion Irvine in 1941. The home was finished sometime in the early 1940s. You can see some color shots of the house by clicking here. And below is a very fine shot of the landmark by Mr Julius Shulman, plucked from the city’s Department of Planning website. I’m not sure how much of that antique furniture remains. And I’m not sure what “environs” in the city’s declaration refers to, as it seems the land surrounding the home is getting more and more cluttered with buildings that’d make Francis, once the Honorary Mayor of Canoga Park, spin in his grave (he died in 2000 at the age of 100). And, finally, I’m not sure why we drive on a parkway and park in a driveway (ask Gallagher). The home is still in the hands of the Lederer family. It’s currently undergoing a major renovation. Seems there are bars on every door and window. I wonder if the residents experienced a break-in or two? Hi all, I own the business located in the Canoga Mission Gallery, now called the Hidden Chateau & Gardens. I am in the process of working with the Lederer Family to assure the restoration of the home. It was evidently damaged by the construction of the tall townhouses at the lower end of the hill. I need the community to help me convince the Lederers to restore it to its original beauty of the 40's and not destroy it. I am also working with Marion Lederer on building a Theatre Arts Cultural Center across the street in the vacant lot. Any help I can get would be greatly appreciated. My family's dr was at the base of the Lederer home which Mother always pointed out to me. This was back in the 60's when they first built the medical office bldg and, years later, West Hills Hospital. When I was young, I don't think there was much of anything around there and couldn't understand why my dr, whom I'd known since I was little, would move his offices way out there. It was very beautiful then, just green fields. Hope Jill Milligan is successful in the restoration work. It would be a shame to lose ANOTHER beautiful old home/bldg in SoCal. That's why I don't live there any longer. Too much paving of paradise. The home I grew up in was adjacent to John R. Litke's home, and their house was also a testament to John and his wifes talent. It's a lovely stone house with a wonderful brick patio. The grounds were lovingly attended by Frances. My sister and I spent much time with the Litke family and I consider it a joy to have known them and their home. wow. what an amazing house. 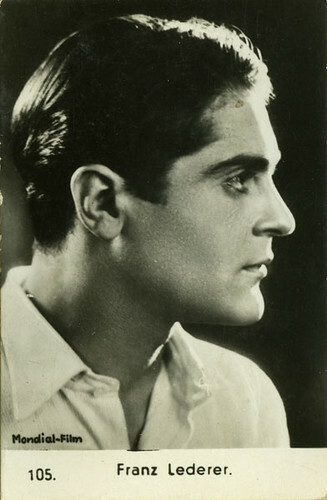 francis lederer was my acting teacher back in the 80s. i attended the american national theater academy on ventura blvd in sherman oaks. only being 14 at the time, i never knew who he was or anything about him apart from he spoke with a kind of thick accent, was on the elderly side and that he had been an actor. i remember as an adult, coming across one of the old photos of him from his acting days and was mesmerized by how handsome he was. i wish i could go back and tell my 14 year old self he had this incredible place and be able to talk to him about it and find out more about him and his life. Thanks for the comment, jakki. I watched Pandora's Box on TCM the other night and tried to imagine taking acting classes from him not all that long ago. Too bad it doesn't occur to most of us at fourteen to make the most of such special circumstances. My father, John Litke, continued to work on the Lederer home well into the 1950's. Much of the stone my father incorporated into our home in Woodland Hills came from the Ledrer property. 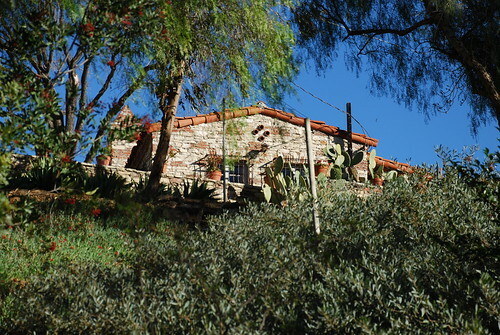 My Dad and Mom moved from the San Fernando Valley to Rough and Ready California in 1980 after he completed building another beautiful Spanish inspired home there. Thanks for the comment, Gary. I couldn't figure out how your parents moved from the Valley to Rough and Ready CA until I realized Rough and Ready must be an actual place. I had no idea. I bet it's beautiful up there. I was driving on Sherman Way today & when I looked up to the Lederer house, it was gone. Just a pile of rubble. What happened? I used to have my medical practice in the 23101 building. 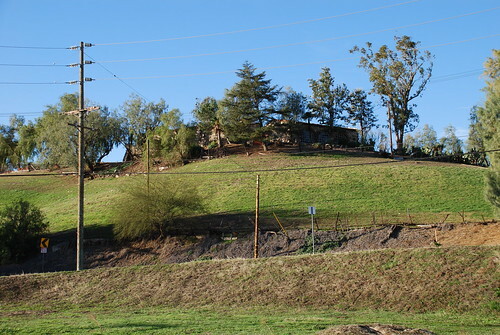 I really enjoyed gazing at that house and imagining what the valley must have been like when it was first built. I'm really sad. I agree with California girl above, too much paving over paradise. In response to the comment above: no, the house is still there. It's just not visible from Sherman Way, which is the side you were likely looking at the hill from. I'm not sure exactly what the rubble pile on the south end of the property is. I guess there was some structure there once, but it wasn't part of the house proper. My mother was married to Francis's brother Rudy in this house. I was 15 years old. 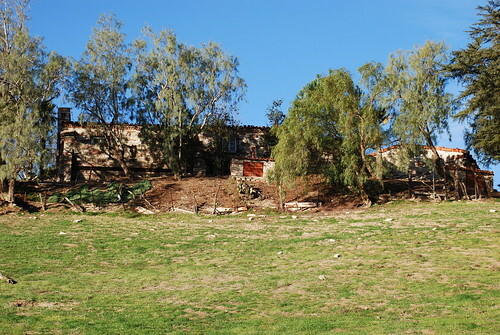 Francis's brother Rudy lived in Hollywood Hills on Kings Rd. I used to go to the Gallery with my Step Father and Mother on weekends. We also swam in the pool at Francis's Palm Springs house many times during the summer. As a 15 year old I was very intrigued with the Bomb Shelter in the back yard at the Palm Springs house. I also went to the ANTA Academy on Ventura Blvd. Dorothy Barrett was wonderful. I took the Saturday classes. My mother is still alive today and we reminisce about the good times back in the early 70's. When I was a young girl, my mom was friends with the caretaker, house keeper, or someone on the estate. We used to go to visit often. In fact, one visit, I was playing with one of Francis' dogs, and I tripped and hurt my knee, and hand. It was thanks to this fall, that I always knew the difference between my right and left hand, due to the scar on my thumb. I loved playing on the grounds.... Great memories..